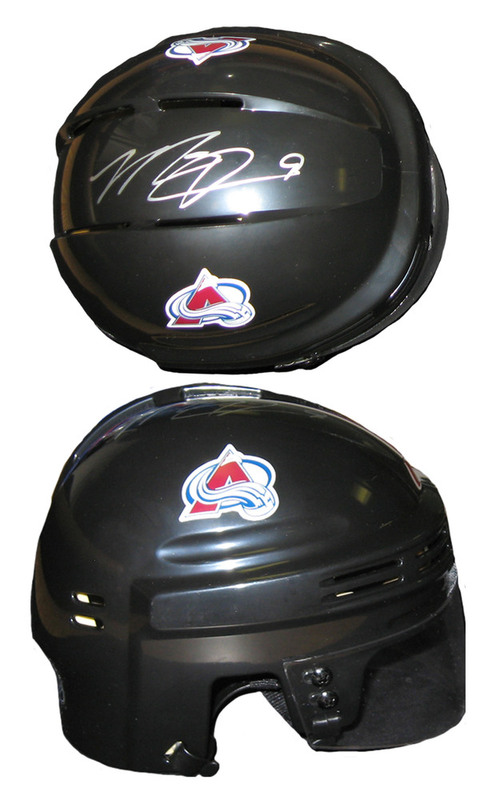 This item is a 5" replica of a Colorado Avalanche helmet hand-signed by Matt Duchene. The plastic helmet is 5" across from the visor to the back of the helmet. It has an official Colorado Avalanche logo, a plastic visor, padding on the inside and a chin strap. Perfect for any home or office and a unique addition to any hockey collection. A Frameworth Hologram and Certificate of authenticity are both included to ensure the legitimacy of the autograph. Frameworth Sports Marketing is the official autograph provider of Matt Duchene memorabilia.